Charlie Newling didn’t set out to be a pioneering wetlands ecologist. He just wanted to be able to keep fishing and eating duck dinners. As development gobbled up more wild places, he, like others, saw we could not continue taking without giving back. This enlightenment ignited a massive environmental movement, a wave that met the relentless mid-century push toward suburban sprawl head-on. Environmental consciousness migrated from the hearts of the people to the law of the land. People, plants, and animals would have to share. Great, but how? Nobody really knew. Charlie Newling was among those tasked with figuring it out. Specifically, figuring out the role that wetlands play, and how they should be managed. These environmental pioneers painstakingly laid the groundwork for ecological practices that continue to shape the landscape of America, and bring species back from the brink of extinction. 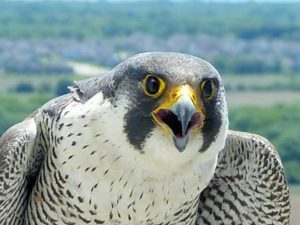 Once extirpated from the eastern U.S., a Peregrine Falcon poses for a nest cam in Wisconsin. 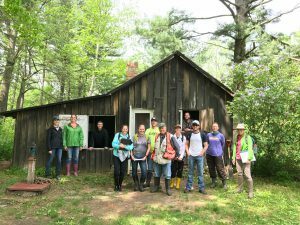 That backyard is just a few miles down the road from “The Shack,” a place made famous in Aldo Leopold’s seminal book, “Sand County Almanac.” Sometimes called the father of modern wildlife ecology, Leopold also wrote one of the first books on game management. This is the land that Newling loves, land he learned how to nurture so that it may in turn nurture others. Newling graduated college as a Biologist and Wildlife Ecologist in the 1970’s. People were tired of acid rain and combustible rivers, so they did something. The National Environmental Protection Act (NEPA) had just been enacted, and the Clean Water Act (CWA) soon followed. That act tasked the newly minted Environmental Protection Agency (EPA) with cleaning up the nation’s waters. Subsequent lobbying and legal wrangling eventually put the US Army Corps of Engineers (USACE) in charge of permitting activities in and around all yet-to-be-defined wetlands. According to Newling, when the USACE was ordered to expand its navigable waterways jurisdiction to include wetlands, it responded by asking, “What’s a wetland?” Newling was there to help figure that out. Fate delivered him to the Corps via telegram (yes, a telegram). He listened as the operator seemed to read him a job offer from the New England division of the USACE. The words had to push through a slight fog. The night before he attended a going-away celebration for two lucky friends who had gotten jobs with Fish & Wildlife in Alaska. “Surely, they meant to offer an interview, not a job,” he thought hazily. The operator assured him the telegram said “job.” It was much later that Newling discovered how they came to offer him a job at the USACE without so much as an interview. Like many others, Newling applied for civil service positions by signing up on the Federal Register. That box, and some well-received library research he did for the USACE as a grad student, changed the course of his life, and ours. And so began the first regulatory attempts to define wetlands. The first order of business? To create the standards, practices and forms that biologists would need to do their work. Distilling dynamic complex systems into concrete legal definitions is a slippery, arduous task. Without digital technology, GIS, or the internet, that initial creation of documents was laboriously and painstakingly slow. It took nearly a decade to finalize the first version of what is now called the National Wetland Plant List (NWPL). It required innovation to develop a methodology for identifying a wetland that didn’t require someone to be a master plant expert at a time when few existed. Regions were defined, first by geo-political lines, then, later, by ecological characteristics. 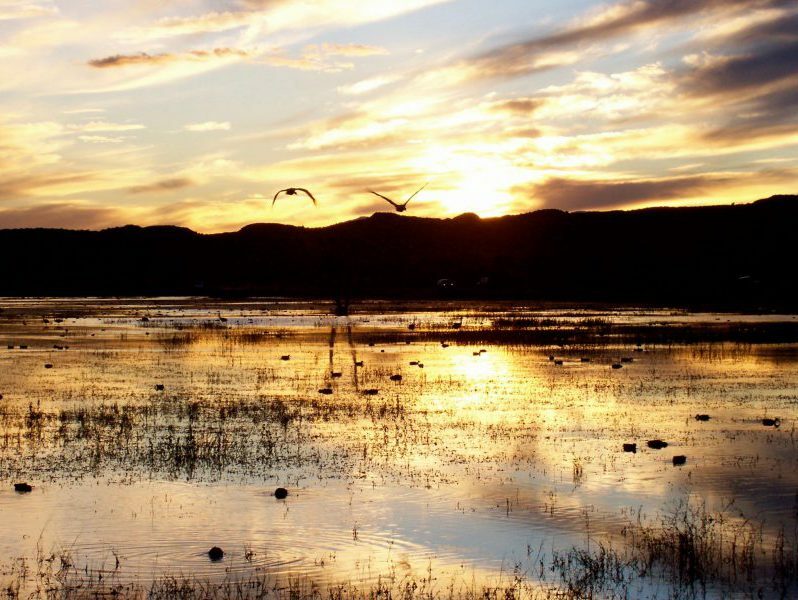 Newling and his colleagues helped invent what is now the National Wetlands Classification Standard and put some of the first pins in the National Wetland Inventory map. Today, the Department of Fish & Wildlife’s Wetland Mapper tool can do in minutes what took a small group of pioneers years to accomplish. Pictured in 2001, these wetland all-stars helped write the 1987 Corps of Engineers Wetland Delineation Manual. 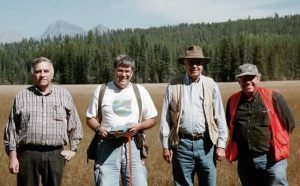 L to R – Dr. Tom Straw (Hydrogeologist), Dr. Bob Pierce (Wetland Ecologist), W. Blake Parker (Soil Scientist), Dr. Charles Newling (Wetland Scientist). In addition to serving on the committees that meticulously assembled the U.S. Fish and Wildlife Service’s “National List of Plants that Occur in Wetlands,” he literally helped write ‘The Book’ on how to identify and delineate wetland communities for regulatory purposes – the “1987 Corps of Engineers Wetland Delineation Manual.” With research that started about 1980 and culminated in 1987, Newling considers his work on that manual, and the training he’s conducted that followed, to be his biggest contributions. “It’s the grand daddy document that underpins all the rest,” he said. He also advised the Corps of Engineers’ team working on the “1989 Federal Interagency Manual on the Identification and Delineation of Jurisdictional Wetlands,” and was on the peer review team for one of the first “Regional Supplements to the 1987 Corps of Engineers Wetland Delineation Manual” (the Arid West). Nearly 30 years later, as a co-founder and instructor at The Wetlands Institute, he has helped train generations of wetland scientists. Thanks in part to him, what once was rare is now common. He gathered his skill set under the guidance of exceptional professors and holds deep gratitude for their influence. “I thank the Lord every year that goes by, and I think of these guys and thank them for what they gave me,” Newling said. 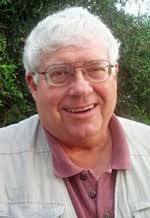 That must go both ways, because today, May 31, 2018, Dr. Charles Newling received the R. Harold Jones Lifetime Achievement Award from the Society of Wetland Scientists, for his contributions to the discipline. Newling has used his gifts to mentor wetland ecology from an idea to an industry. He has walked it from bookshelves to smartphones. He recently helped guide Wildnote’s development of digitized, wetland delineation forms. 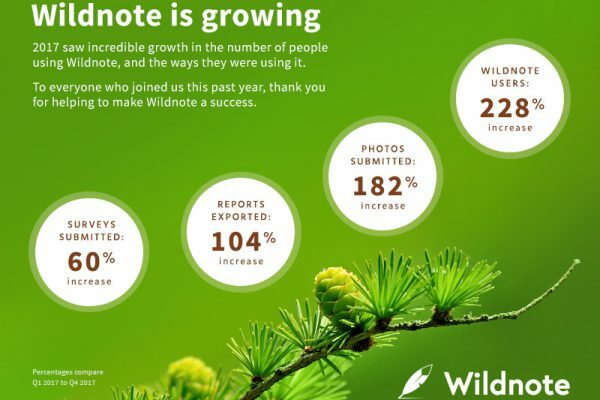 The digitized forms let Wildnote users efficiently collect, manage, and submit the exact data required for wetland reporting in the exact format the USACE requires. Wildnote released wetland forms for the Arid West and the Western Mountains, Valley, and Coast, and those forms received such an enthusiastic reception from Wetland biologists at the NMEBC Conference in Louisville KY, Wildnote is now rolling out the USACE set of forms for all US wetland regions. Charles J. Newling, Wetland Superstar! Previous Post Outdoor Afro Takes Environmental Leadership to New Heights On Mount Kilimanjaro Next Post US Army Corps Wetland Forms for All Regions Are Ready! Building In Resiliency – Cities use land use policies to take the lead.